The Adaptive Group delivers timely, actionable business intelligence from multiple sources that lets business leaders and executives make forward-looking and decisive decisions. Small-cycle/Fast-cycle development is a process developed by NASA engineers. We have adapted that process to take the sting out of BI projects. The Adaptive Group has experienced developers who can assist you with the development and deployment of custom solutions. Our team can work with you to define the requirements for any solution, whether you are looking for a web-based application, desktop client application, or simply need a solution to integrate multiple systems and data sources. Sometimes "off the shelf" just does not cut it - especially in today's dynamic and innovative business market. Even if an off the shelf, hosted or premise SAS solution can be identified that meets most of your business process requirements, many companies will spend at least two times up to a significant multiple customizing the off the shelf or SAS solution to meet their specific needs. Some solutions are offered with exactly that in mind, low upfront cost and then you're spending significant dollars for an indeterminate scope and time. The Adaptive Group has a long track record of delivering solutions that are well defined in scope and time up front and have a long usage life. We have often delivered solutions that were intended to be a "stop gap" or "interim" solution that became the permanent application - significantly reducing the cost and increasing the value of development over time. 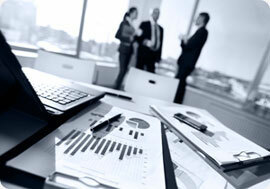 We employ a common methodology that has been proven and perfected over time. We emphasize good design = good results. We advocate that up front planning leads to more productive development and deployment. We expect that when a solution goes live it is what the customer expected. In addition we like to plan our solutions to be scalable and extensible - so that even if the choice is not to include everything, the design is in place to allow a reasonable refactoring of the solution. In some cases, customers will need to integrate data from multiple systems that are not inherently connected. Our developers have experience building solutions that provide data entry interfaces or custom reporting interfaces for these systems. We produce architecture and design documents that are consistently praised for their clarity and detail. We off course would like you to continue your project with us, but if for whatever reason you make a different choice these are design products that you can take and use internally, present to another vendor, or hold onto until you are ready to move forward with your initiative. Finally The Adaptive Group is convinced that companies should leverage their existing investments. While we specialize in delivering solutions around the Microsoft stack, we at essence are technology agnostic. If the considered and advised decisions have been made to use a certain brand of technology our goal is to help you squeeze the absolute most value out of that technology, helping you find ways for tighter integration, better information and data accessibility, solutions that help you do your internal and customer business in such a way that is not merely more efficient but more productive.